Published by Ace Cosmic Publ./Studio Publ. The Alone (Mellow Mix) is the "ONE" on this record. 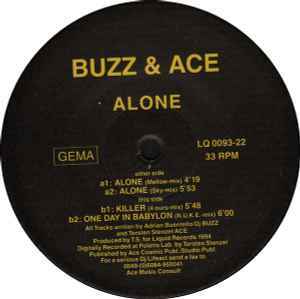 Completely original from any trance tune I've heard, Buzz & Ace use good effects and sounds to create an atmospheric jam good for any universe.